Spread 1 tbsp almond butter on each KIND bar half. 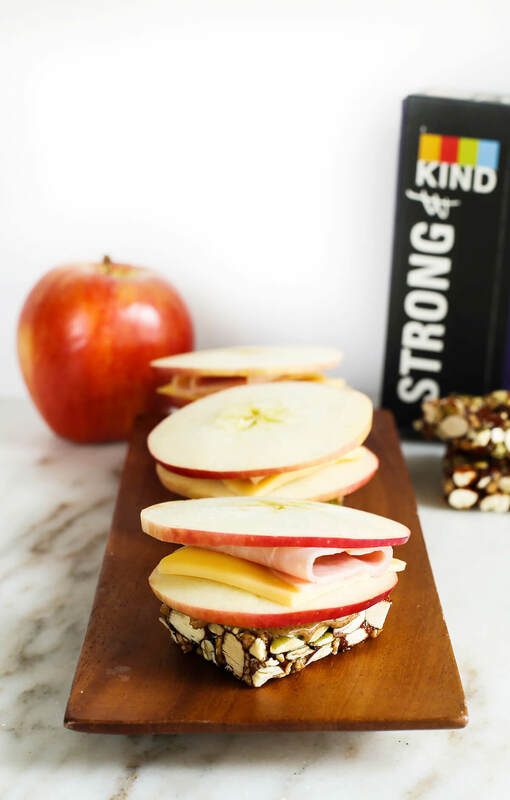 Stack apple rings, lunchmeat and cheese onto bars. Finish by topping with another slice of apple to complete slider.